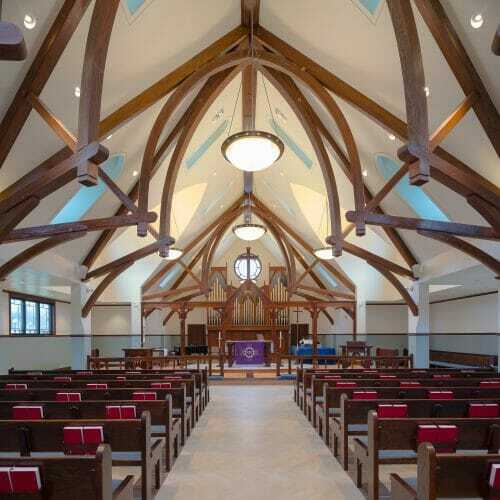 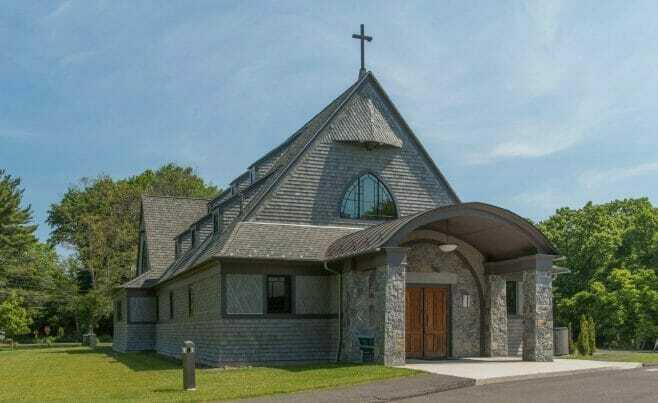 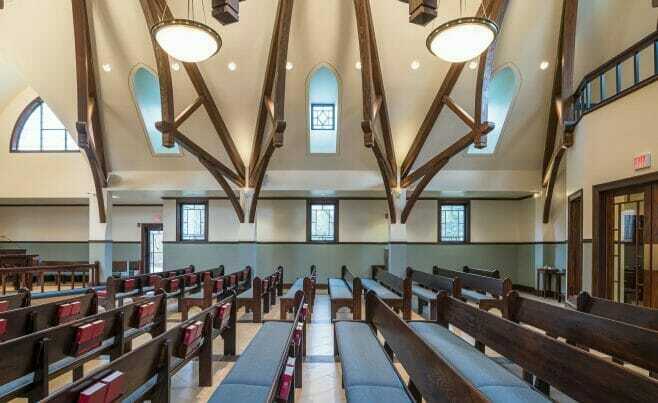 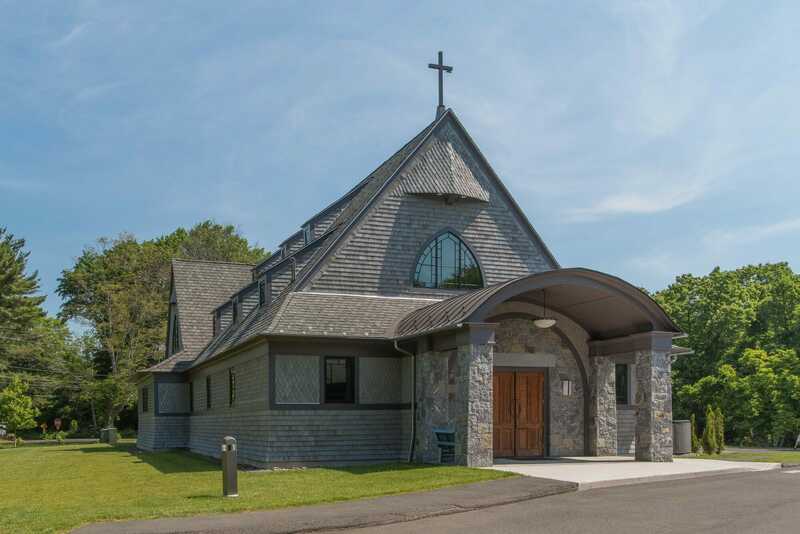 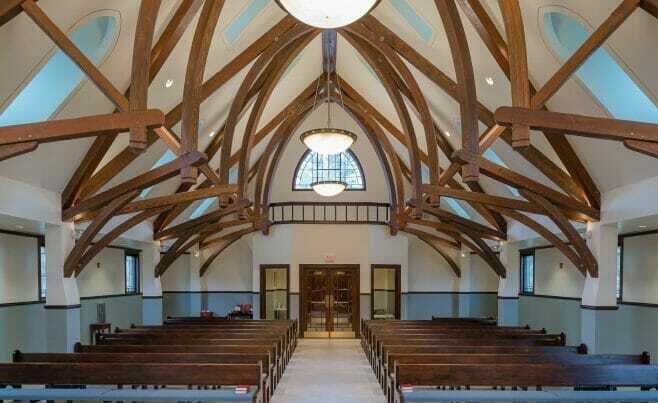 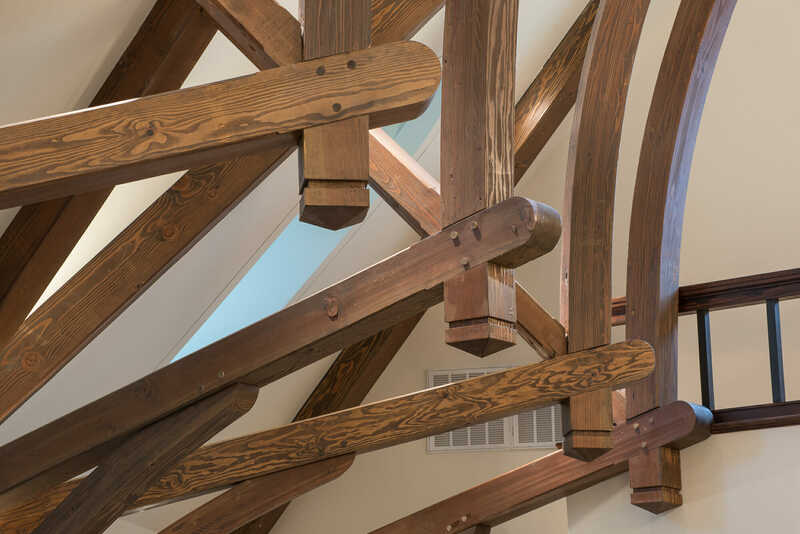 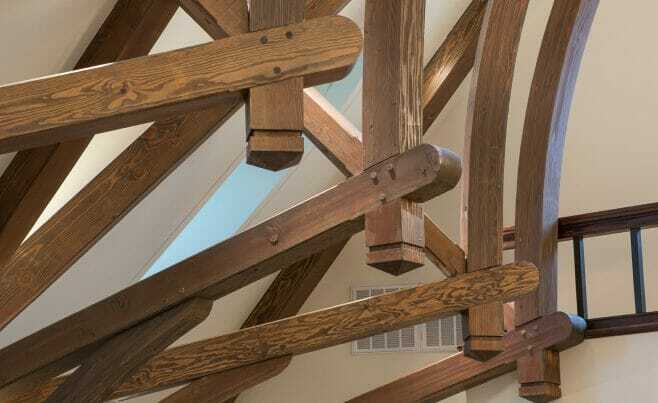 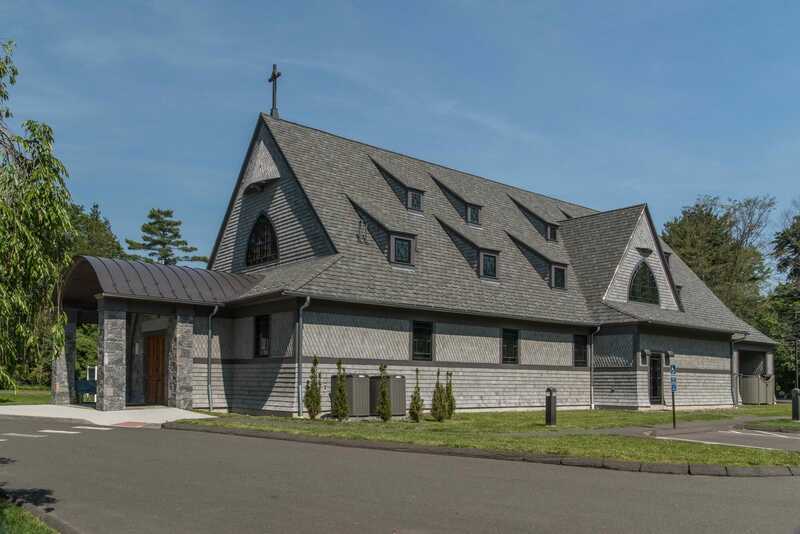 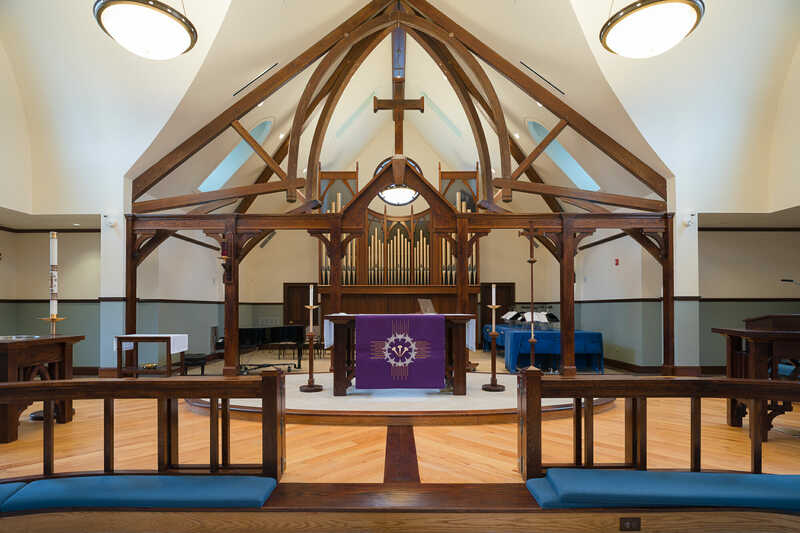 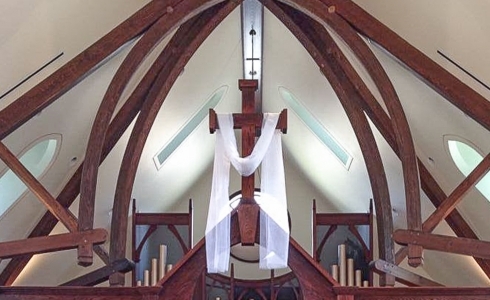 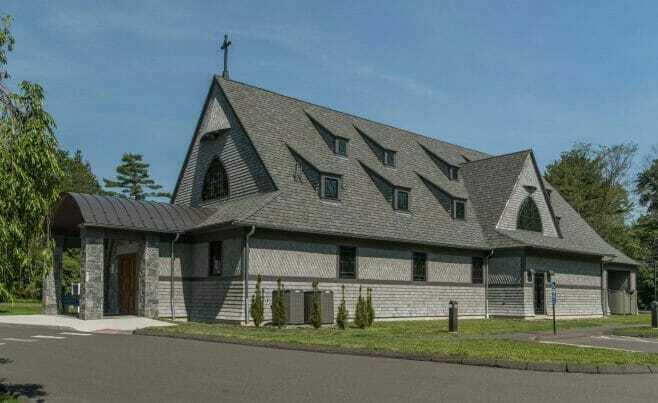 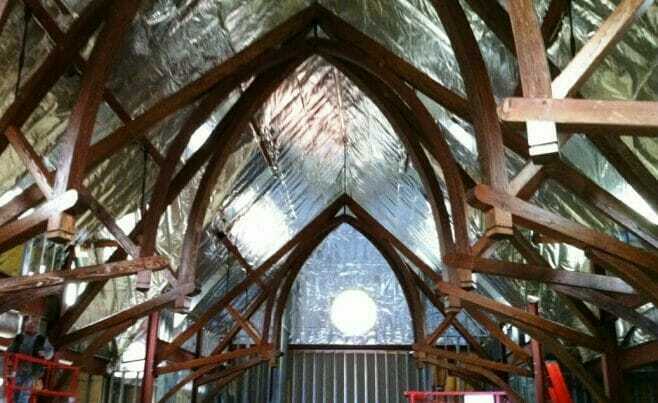 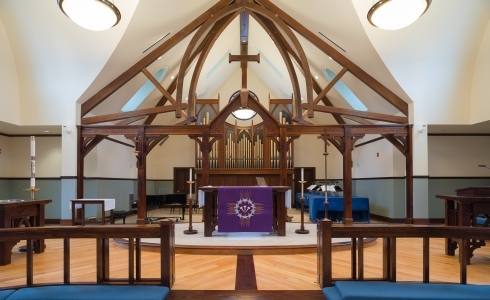 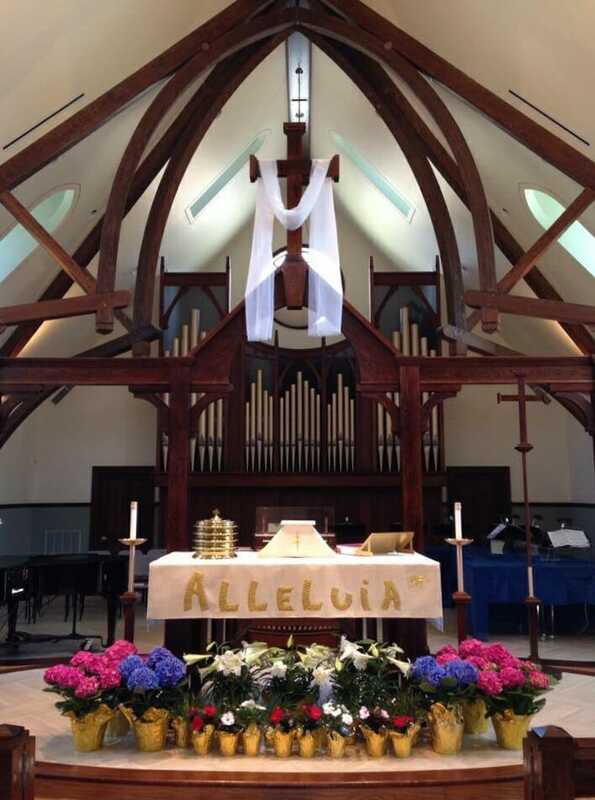 Saint Andrew’s Lutheran Church is in Ridgefield, CT. Vermont Timber Works provided arched timber trusses for the church. 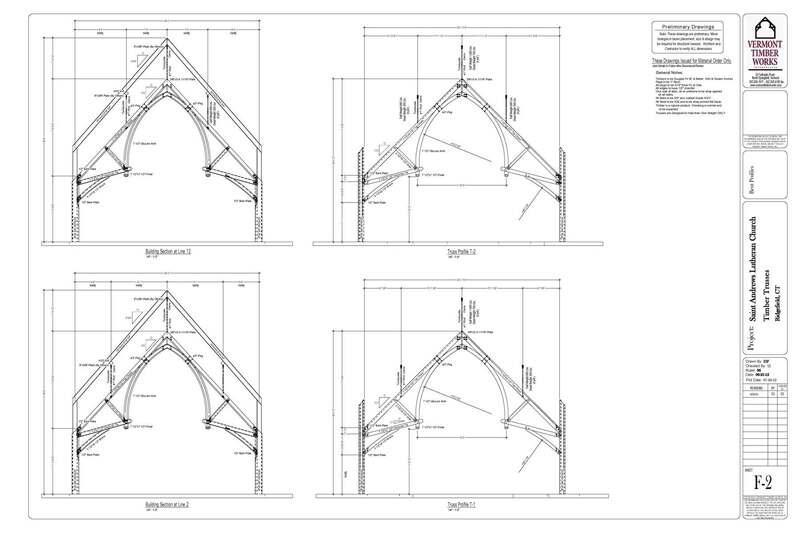 The arches are glu-laminated timber while the straight members are free of heart center Douglas Fir. 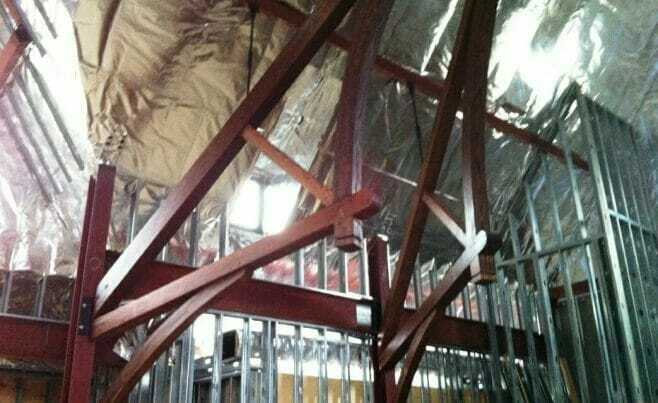 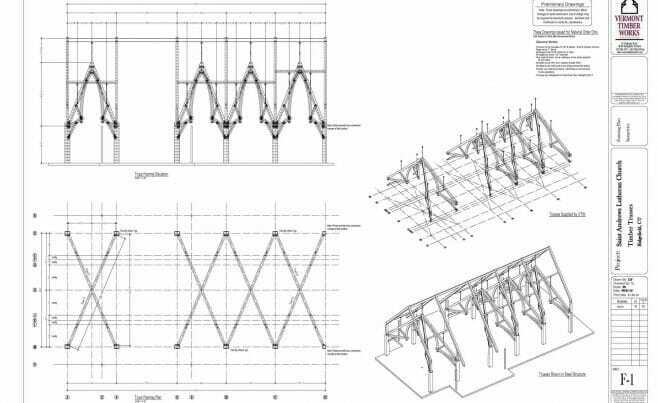 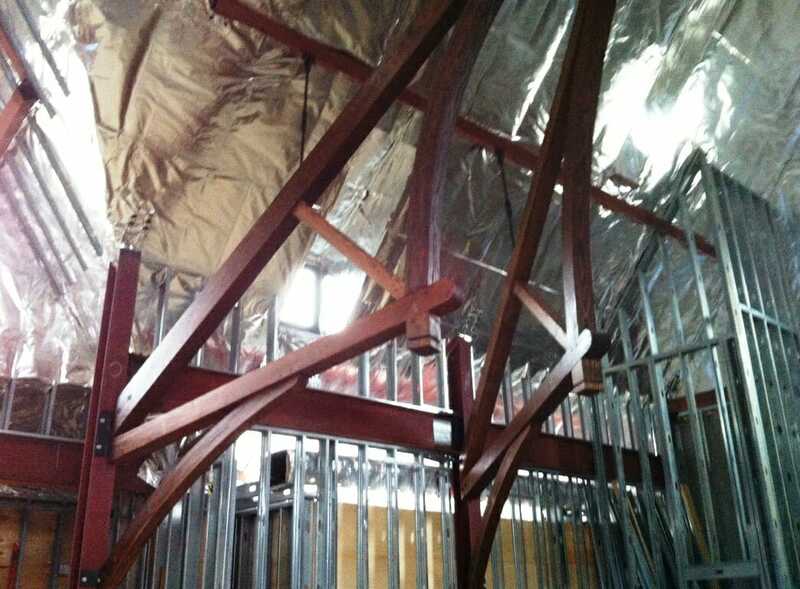 The trusses in this project are actually decorative and hang from a steel super-structure above. 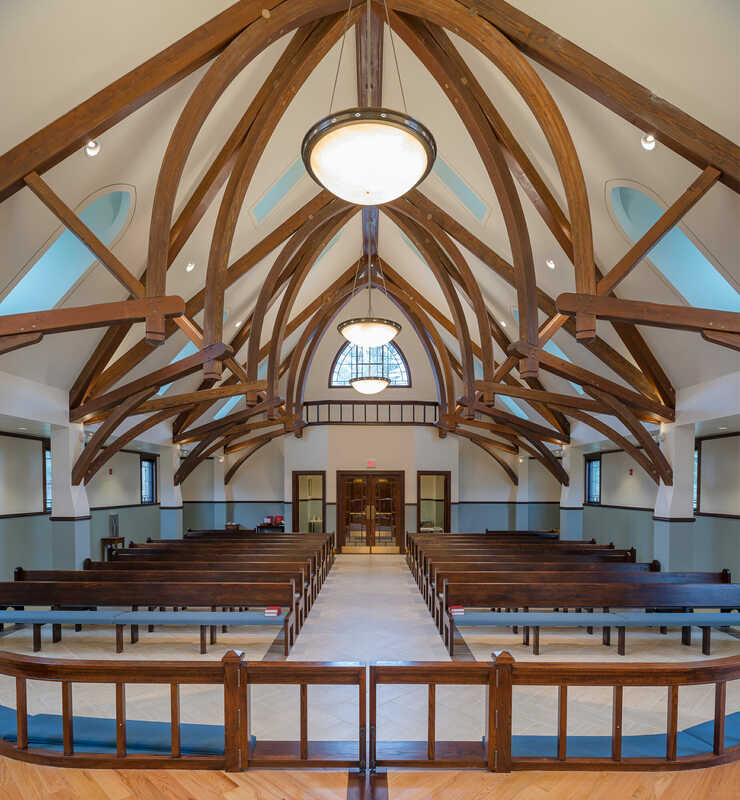 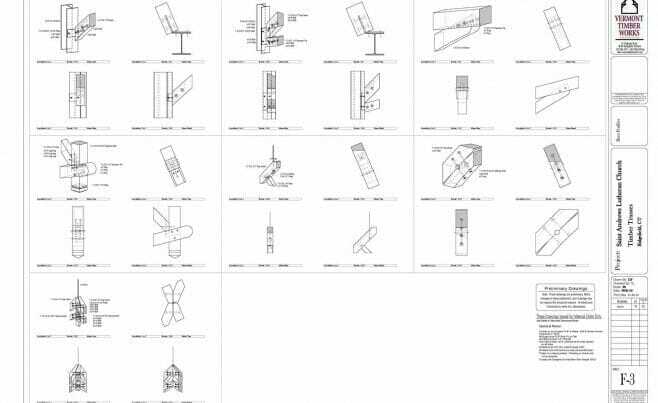 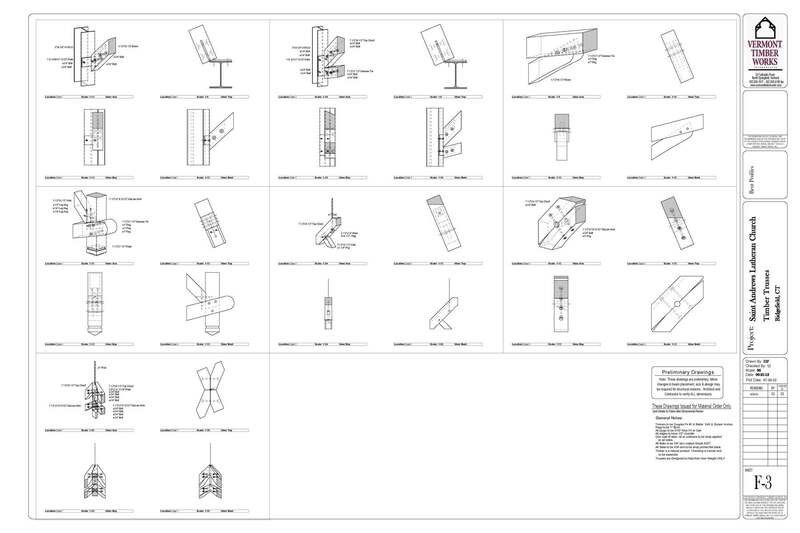 We worked with Roche Incorporated and Doyle Coffin Architecture, LLC on this project. 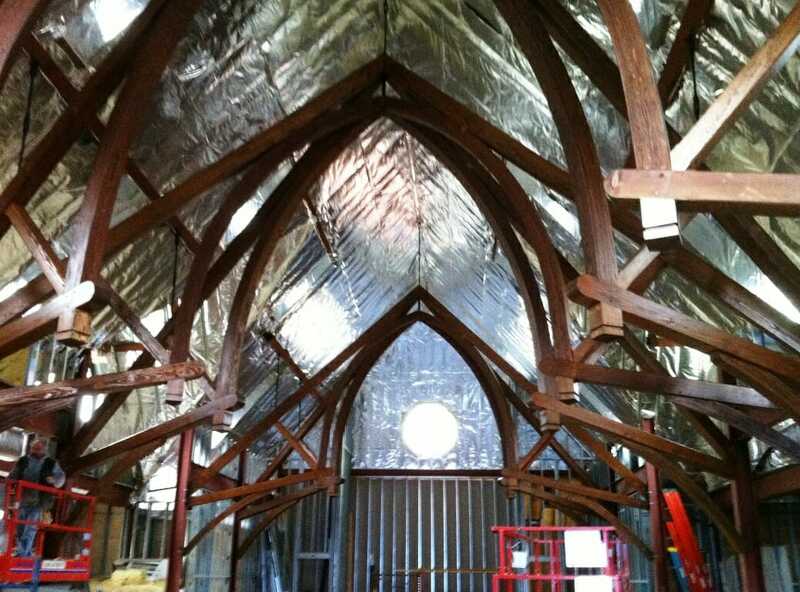 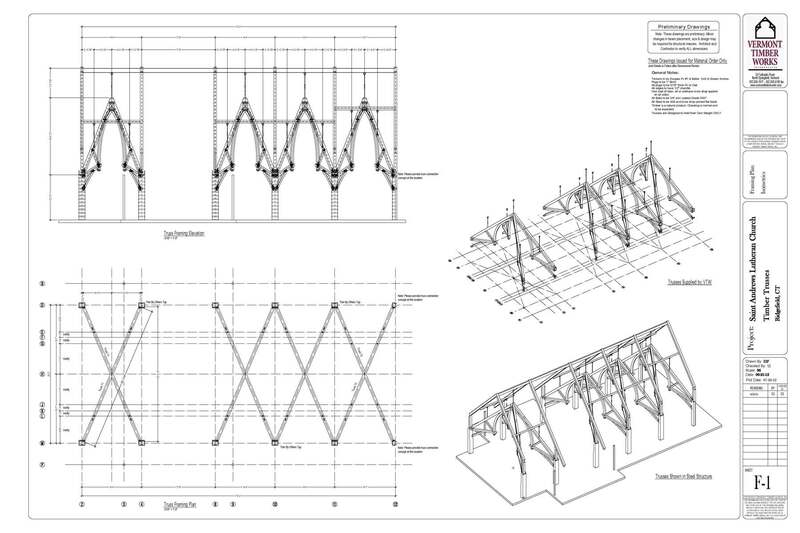 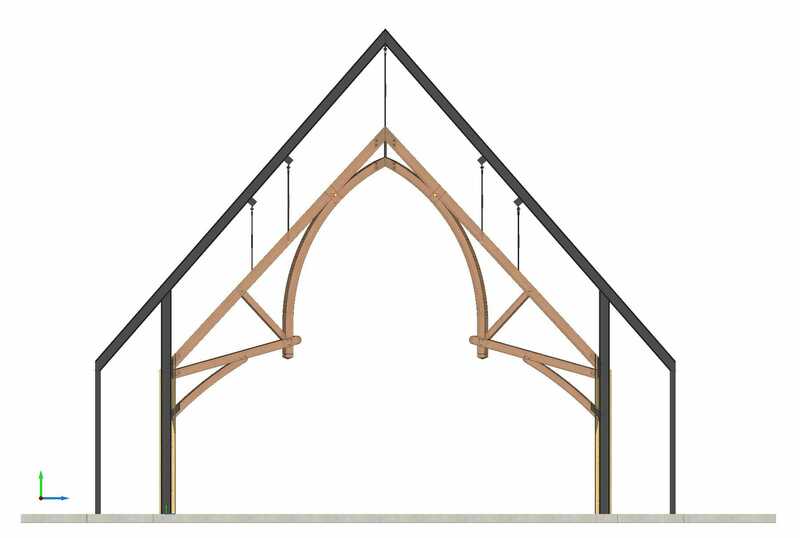 If you like this church frame, or have timber work questions, we invite you to get in contact or ask an expert! 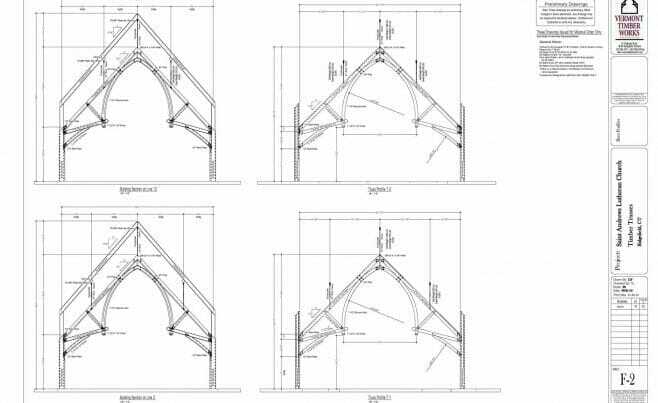 The church interior shows of decisions that were made early in the timber frame process, like which species of wood to use and how to finish the timber. 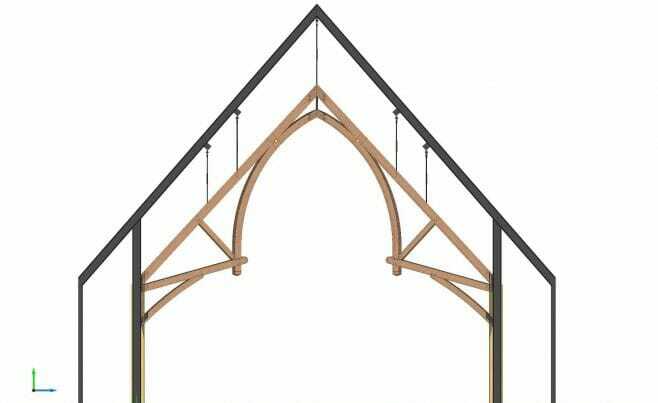 This frame was constructed using douglas fir timber and 1” birch pegs, and was finished a dark, urethane stain. 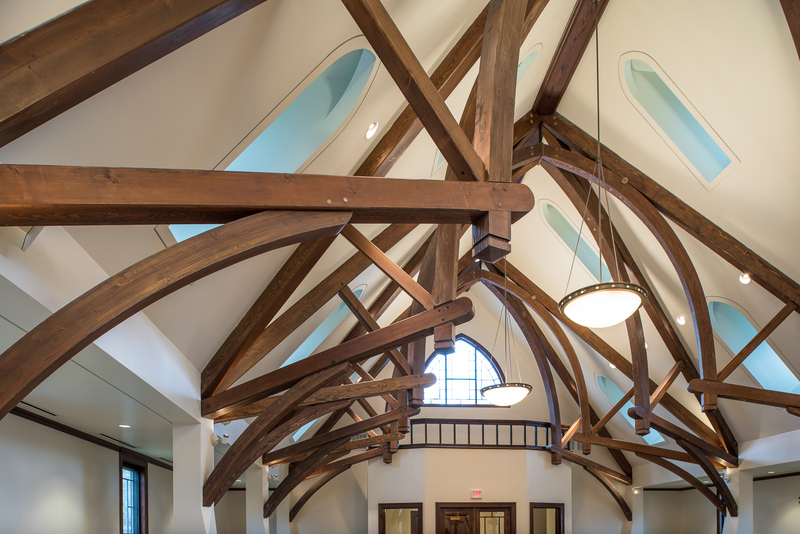 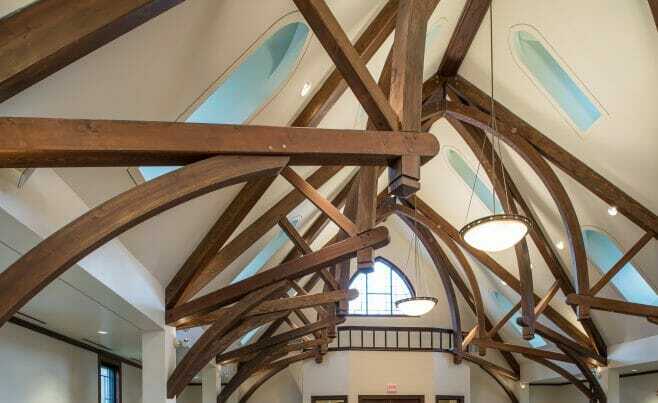 The arched ceiling trusses were constructed using glu laminated timber.